We provide quality in a world of mediocrity, in an environment that speaks relaxation. The premium products and treatments offered by top European skincare house, Germaine de Capuccini are found in the most exclusive salons and spas throughout the world, and are offered by the most highly trained therapists. The successful combination of natural active ingredients and cutting edge technology is encapsulated in their skincare products which achieve incredible results and are complimented by some of the most indulgent pampering experiences available. This treatment uses Royal Jelly, a truly nourishing exilir. It combats the signs of stress and fatigue, strengthens the skin and helps it defend itself against environmental aggressions. Perfect for the most delicate skins, hypo-allergenic and specifically for skin that reacts easily, this deeply hydrating facial protects the skin by reinforcing its own self defence capacity leaving it fresh, clear and calm. A highly advanced therapy that provides total hydration, protecting and repairing the skin from dehydration and climate excesses. Skin will be left smooth, soft and radiant. For those troubled with oily skin or acne. A highly effective treatment to balance the skin’s PH and reduce sebum secretion. Results are visible within days and skin will be clean and hydrated. A deeply renewing treatment based on micro-dermabrasion. An intensive facial renewing treatment using AHA’s and Glycolic Acid, skin is immediately improved, wrinkles and irregularities are faded, open pores minimised and congestion reduced. It works in a highly intelligent way to increase cellular activity and allows the skin to absorb more oxygen, leaving it looking and feeling younger, firmer, toned and radiant. A truly stunning treatment! Utilising the rejuvenating power of Vitamin C, this facial has been created to combat skin ageing by intensely repairing the skin’s luminosity, vitality and uniformity. A great facial following sun exposure or when the skin is tired and shows signs of stress. Inspired by the latest advances in plastic surgery this is an extraordinary treatment that works effectively against wrinkles from within, filling and inhibiting the formation of new expression lines. This treatment leaves the skin highly rejuvenated, smoother and firmer and more youthful with reduced lines and wrinkles. This treatment provides spectacular results immediately. Using a powerful glycolic facial peel together with micro-dermabrasion it provides instant radiance to the skin, reducing areas of pigmentation and giving skin a more even tone. We offer a stunning range of relaxing and rejuvenating body treatments, using only the best products with the finest ingredients from top European skin care house Germaine de Capuccini. For pure indulgence and total relaxation we provide you with a haven where you will find the most incredible unique sensations where mind, body and soul converge for an unforgettable and deeply pleasurable experience. Our deeply relaxing Swedish massage uses blended oils to intensely nourish your skin whilst your therapist adapts the massage pressure and technique to suit your preference and needs. Water heated basalt stones are anointed with oils and used to massage the body providing a nurturing and enhanced therapeutic effect. The direct heat from the stones relaxes the muscles, boosting blood flow and stimulates the lymph. Alleviate stress, ease aching muscles and revive the senses with this powerful customised therapy. Deep rhythmic pressure massage using dynamic blends of essential oils give the whole body a vigorous workout. Specialised positioning on the beanbag is used to ensure the ultimate in comfort and relaxation. Helping to relieve tension in the back alleviates swelling in the hands and feet and connects mother and baby through the power of touch. The combination of massage and the medicinal and therapeutic qualities of the essential oils can soothe, revitalise, uplift the spirit, encourage positive thinking and boost the immune system enabling the body to heal itself. Using fingertip pressures working over the face, scalp, neck and shoulders to ease away tension. It is especially good for relieving stress, fatigue, insomnia, headaches, migraine and sinusitis. A relaxing therapy that calms and soothes the head and ears, complimented with lymphatic drainage massage to the face. An innovative treatment based on coffee that works effectively to firm and prevents skin ageing, enhancing the collagen and elastin fibre renewal, speeds up toxin and liquid elimination. An effective solution for those with flaccid skin, the silhouette will be more defined and the abdomen, thighs and buttocks slimmer. The perfect solution for cellulite! This highly effective treatment provides dramatic results for those with orange dimpled skin. A combination of exfoliation and lymphatic drainage massage works to inhibit the formation of cellulite, activating llipolysis and reversing the formation of cellulite into firmness. Specifically targets problem areas such as abdomen, hips and thighs. 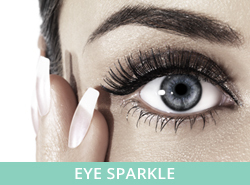 Eyes are the windows to your soul, and eyebrows are the window dressing, and to ensure they look beautiful we offer a wide range of professional eye treatments to enhance and sparkle! We also offer threading which is a natural method of hair removal which originates in the Middle East, India and China. 100% cotton thread is skillfully wielded to gently remove individual hairs from the root. It’s fast, effective and leaves stunning results. A “must” for the ladies! 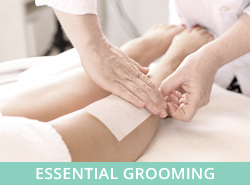 Waxing is quick and easy, great for removing any area of hair and gives much better results than hair removal creams or shaving. With the increasing popularity of exotic treatments such as intimate Brazilian bikini waxing, it is anything but the poor relation of hair removal. We offer everything from leg waxing to intimate hot waxing… so Urban Chill welcomes you to Hollywood!! Our manicure is a luxury treatment in which cuticles are soaked and tidied, nails are shaped, buffed and polished and hands are massaged and moisturised! We use the most up to date colours by the renowned, New York inspired Essie, and one of the leading and much trusted nail care companies in the world. Essie cleverly blends fashionable with the functional, redefining the boundaries of colour and creativity. We also offer Artistic Colour Gloss Gel Polish, developed by Hollywood manicurist Tom Bachnik, providing 4 days of vibrant glossy colour with collections inspired and used on the catwalk. Our pedicures are in a league of their own, leaving you feeling like you are walking on air! Allow us to renew your feet, perfect your cuticles, file and remove hard skin and relax with a fabulous foot and leg massage. If that isn’t enough the luxury and deluxe pedicures are the last word in pampering for the truly indulgent! We are also the only salon in Harrogate to offer a pedi throne remote controlled, shiatsu massage system and whirlpool foot spa, the ultimate in luxury and quite simply the best. We offer a vast array of treatments to relax and renew the boys! From Swedish massage, Aromatherapy, Deep Tissue and Hot Stone Massage to a wide variety of facials, a fabulous way to relax and unwind whilst also turning back the hands of time. 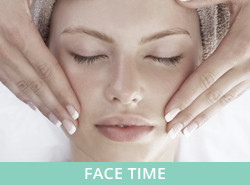 This relaxing treatment will cleanse and renew your skin, leaving it revitalised and glowing. A highly effective treatment to balance the skin’s ph and reduce oil secretion. Results are visible within days, skin will be clean and hydrated. A deeply renewing treatment based on micro-dermabrasion without the aggression or use of a machine. Skin tone is revived, imperfections are minimised leaving skin looking radiant and refreshed. Utilising the rejuvenating power of Vitamin C, this facial has been created to combat skin ageing and sun exposure by intensely repairing the skin’s luminosity, vitality and uniformity. For the truly stressed male, add a back massage to any of the facials for only £20.00 & totally chill! At Urban Chill, we understand that everyone has busy lives and crammed schedules, so we have developed a number of ‘Me Time’ treatments that can slot into half an hour, whether that is in your lunch break or before collecting the children from school. We offer a wide selection of pamper packages, and specialise in bespoke packages for clients whether that is for a hen party, girls night in, teen party or just a group of friends meeting up and relaxing for a few hours. For further details please contact the salon, however here is a taste of what we do. 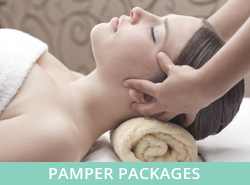 Relax and unwind with mum to be massage, followed by the royal elixir facial and eye sparkle. As one of Harrogate’s most experienced therapists, Tamsin Moore, created urban chill in 2008 and her vision was to bring together an amazing range of treatments along with a team capable of impressing even the most discerning clientele. Offering a vast number of treatments that include manicures, pedicures, waxing, eye therapies, body treatments and advanced facial care from the top European skincare house, Germaine de Capuccini. Their products and treatments are only found in the most exclusive salons and spas throughout the world and only performed by highly trained beauty therapists. Flawless service ensures clients are cocooned in pleasure, two decadent treatment rooms, manicure desk, two amazing pedithrones and a relaxation area, all beautifully crafted with statement pieces of décor amid spacious surroundings that ensure comfort and privacy. Tamsin and her team of experienced and fully qualified therapists look forward to welcoming you soon. Whether you have any questions or would like to book an appointment, please contact us using the form below. Please contact us or call in while you’re in town to find out more about any of our treatments. You can book appointments by calling us on 01423 523331. Download our full treatments brochure. urban chill is centrally located in Harrogate town centre a short walk from the town’s shops and many meeting places. Pay and display parking is widely available nearby.